ill Bonk delivers on his second solo release as he sings and plays guitar, bass, harmonica, flute, mandolin, keyboard, and short-wave radio. A veteran of tours with John Prine, Ron Sexsmith, Aimee Mann, and Shawn Mullins, to name a few, Bonk plays just about everything you can imagine and plays it well, at that. His songs are slick, dreamy, power-pop constructions that pound and jerk, hum sweetly, and enchant. Whether it’s the twang-tinged "Rings a Bell" that stalks slowly under a Radiohead-like melody, or the tire-screeching, groovy opener "Everybody," Bonk demonstrates what an accomplished musician who’s spent years with great artists can do when left alone to write. Bonk is impressive musically and lyrically—witty, accessible, and unswervingly cool." 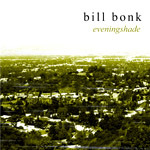 onest, simple, and to the point, Bill Bonk's low-key pop songs are heartfelt and ultra- compelling. Close your eyes, and you'd swear the second offering on Bonk's dozen-cut CD, "Merchant of Venice", was a Squeeze song, and a cool one at that! Lyrically, he's intelligent, clever (and unpretentious), and in the case of "Winston Churchill," historical as well. 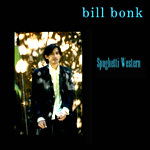 There are many winners on Spaghetti Western, produced by Dan Fredman, including the classic and poignant "World Gone Mad" and the '50's-style bop and Dylan vocalizing of "Teen Canteen"... His clear, strong voice, keen sense of melody, and wonderful lyrics place him in the ballpark of something like an American version of Crowded House, although Bonk - born in Kansas to a Polish dad and Japanese mom - certainly has his own, sometimes quirky sound, and notes that all his songs are true stories...All I can say is, it's about time! More, more, more!"